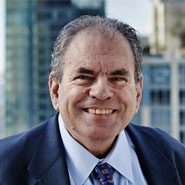 Although many may have heard of the Martin Act because of high profile investigations and enforcement actions brought by the New York attorney general involving major public companies, it is perhaps most frequently applied in the public offerings in New York of condominiums and similar projects. The Martin Act is New York state’s securities law, Article 23-A of the New York General Business Law, which dates to 1921. It is one of the early “Blue Sky” laws enacted by many states in the early 20th century to prevent speculation in stock and bond securities offerings with nothing at all behind them. A key concept behind the Martin Act is to give the attorney general enormous statutory weapons to combat fraud, involving powers to investigate and prosecute civilly and criminally. These powers dwarf those of officials of other states. Parts of the statute apparently served as a model for federal securities laws when they were enacted in the 1930s. The Martin Act has been regularly amended, and in 1960 section 352-e was added. It requires full disclosure of offerings to be made to the public “in or from the state of New York” though an “offering statement” or "prospectus” that must be initially be filed with the attorney general’s office unless the attorney general permits an exemption (or to the extent the statute is preempted by federal law). The statute, which is unique to New York, covers participation or investments in real estate including “cooperative interests in realty.” For the most part these are only considered securities under New York and not federal law, so New York law controls. In 1960 this usually covered the public offering of apartments in cooperatives, a concept dating back to about 1881 that has been mostly used in New York. Cooperative apartment ownership involves the corporate ownership of a building whose stockholders are permitted occupancy in apartments of the building through a proprietary lease. Well before condominium laws were enacted, it was an accepted way to divide up ownership of a residential building. Neither cooperatives nor condominiums are considered securities in other states. In 1964 New York enacted Article 9-B of the Real Property Law, the statute permitting condominium ownership in New York state which was originally similar to condominium statutes adopted nationwide. Unique to New York, section 339-ee of the condominium act expressly provides that condominiums are to be deemed cooperative interests in realty within the meaning of section 352-e of the Martin Act. Over the years, the attorney general has promulgated detailed regulations for cooperative, condominium and other similar types of offerings so that the typical offering statement may easily be four or five hundred pages or more. Such an offering statement involves substantial work and expertise to complete and file to the satisfaction of the attorney general’s reviewers. By contrast, many other states have evolved and enacted more sophisticated condominium laws than New York’s condominium act with very different requirements. These include versions of the Uniform Common Interest Ownership Act which was adopted by many states with local variations. Other states, such as Florida and California, have developed their own unique statutory schemes. New York has never fully overhauled its condominium statute, and relies mostly on the attorney general to regulate the initial sale of condominiums. Unlike cooperatives, condominiums are a popular form of ownership not only throughout the country, but also have been established in many parts of the world long before they were allowed anywhere in the United States and are subject to a wide variety of laws and regulations worldwide. Because the Martin Act covers offerings “in or from the state of New York,” the same type of disclosure has traditionally been required for New York sales of out-of-state or foreign projects as for New York projects. The requirements can be even be more burdensome for out-of-state and foreign developers than for New Yorkers where the laws and practice establishing the project differ significantly from those in New York, so that the regulations become harder to follow. Up to now, selling activities in New York for a project located outside of New York required either a full offering plan or a supplement to add information to make up the difference between New York’s requirements and those of the foreign or out-of-state jurisdiction. Perhaps because the laws elsewhere did not originate in securities regulation, other states and countries generally make less effort than New York does to control the sales of condominiums not located within that jurisdiction, except for comparatively minor requirements. However, the attorney general has long sought to enforce its statute to prevent the offering of projects located outside New York that are not registered with the attorney general, and has sought sanctions where appropriate. Enforcement has always been problematic and has become even more difficult in the internet age. How does one make sure the sales efforts for a non-New York project found on the internet, which may not even be targeted to prospects located in New York, is unavailable to New York purchasers? In an effort to simplify and make coherent the offering in New York of non-New York state offerings, the attorney general’s office issued Cooperative Policy Statement #12 effective May 5, 2016. This allows the attorney general in its discretion, if it feels that purchasers are adequately protected, to waive its detailed requirements and allow a much more streamlined process for sales to be made in New York. Highlights include more reliance on the information given to purchasers in the locality where the project is offered instead of the information than was previously required under New York law and regulation even if all topics required in New York aren’t covered. Other features include a substantially reduced filing fee, and a relatively straightforward registration process. This policy will have no impact on projects located within New York state. However, it is believed that this modified process will permit developers of projects located in other jurisdictions to be openly able to offer them in New York without difficulty and for prospects located in New York to be better able to make an informed decision on whether or not to purchase.